The possible implications of the Trump administration cannot be overstated. While there has been continuity in the central role the US has played in finance and trade internationally since the collapse of the Bretton Woods agreement, Trump has explicitly declared his intention to fundamentally alter that and has been quick to act on these intentions. Of the US’s top five trade partners – China, Mexico, Canada, Germany and Japan – all have come under fire from Mr Trump and Mr Navarro, the head of his newly established National Trade Council. Trade is of particular significance in the populist moment we are seeing in the US and across the globe, and the significance of US consumption to the world market makes changes to standing and drafted free trade agreements (FTAs) stand to seriously impact the global market, not least of all the European Union. Moreover, given the US dollar’s role as the international currency (and international debtor), the effect of a financial withdrawal of the US from the global economy presents a fundamental change to the structure of the global order. Trump has taken repeated aim at Germany, accusing them of currency distortion through the EU, “a system designed by and for Germany.” He has undermined the global trade architecture more broadly that has served and entrenched the US’s hegemony since the Second World War, in the words of some spectators, in order to “favour some commercial interests at the expense of others.” Others have speculated that Trump may actually bring about a new financial order in his blind pursuit of a current account balance, noting that if he undermines “the ability of countries to export freely to the developed world – and it is no means certain that the other part of the system – the acceptance of the dollar and other developed-world currencies as payment will survive unscathed.” These possibilities certainly promote a fundamental change in the interests of the US, the effects of which for the global economy and for the EU specifically are deeply complicated. In an immediate sense, the TPP will no longer involve the US, and the future of the TTIP and TiSA, which we’re in the final stages of drafting, is now uncertain. Similarly, FTAs across the world that the US had fought for are now being called into question, redrafted or dismantled. In lieu of the US though, trade agreements between the EU and Canada, Mexico and China are at different stages of development and ratification. 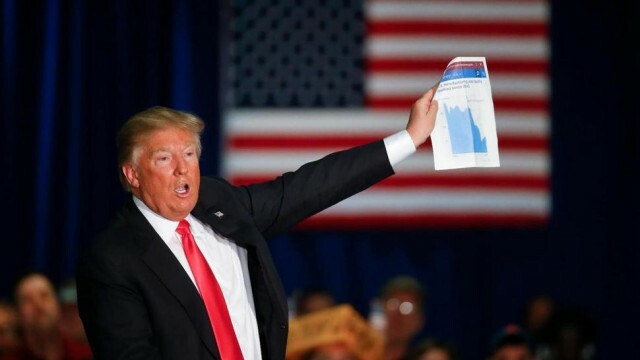 It remains to be seen whether Trump will remain consistent with his election promises and statements made in the early weeks of the administration, given for example his backflip on China last month, which was one of his most emphasised trade imbalances he argued required redressing. It should also be noted that while Trump was saying long before his run for election that NAFTA was a disservice to the American worker, on meeting with Justin Trudeau earlier this year he has said that Canada and the US will have favourable and close trade relations in the future. Indeed much of his actions since the first weeks in office have underlined the flippancy of the president’s favour, and quite troublingly there appears to be little strategic or theoretical underpinning for these decisions. It is unclear, for example, why Mexico or Germany is guilty of ripping off the American worker but that Canada and China are no longer being persecuted as such. Should US policy truly withdraw, it has been noted a recession is likely. At this juncture, however, it is important to note the rapid rise of wealth across Asia and the BRICS. If Wall Street is no longer so deeply connected with international markets, losses to the US economy will produce far less shock. Accordingly, it is necessary to consider a scope of actions available to the Trump administration regarding its role in the global economy, and then speculate on their likelihood. As noted, it is clear he intends to renegotiate standing trade arrangements; this may mean little more than the repackaging of standing trade arrangements, if his meeting with Trudeau is anything to go by, appeasing voters by lining up straw men to knock over. On the other hand, it is certainly within the realm of his powers to enforce the kinds of heavy tariffs Trump threatened to place on German industry. Moreover, some have suggested the president may leave the World Trade Organization (WTO) altogether, and while this doesn’t seem likely, it is crucial to the European Union at this moment of uncertainty to consider what a world economy no longer centred around the US and its dollar might look like. The primary question is whether the US stepping away from its role as a core country in the global economy would change the structure or just the composition of the system. The incredible interconnectivity of financial markets that led to the contagion in the Global Financial Crisis has meant that the US market’s health directly impacted the health of the global economy. Thus it also stands to question, if the US actively pursued isolationist policies in both finance and trade, whether the health of the US market would remain as important to the global system as it has historically been. Should US policy truly withdraw from the global market, it has been noted by many economists that a recession is likely, and that the rising cost of production for US firms forced to produce locally will speed up automation and add to employment losses, as well as losses to growth. At this juncture in time, however, it is important to note that the rapid rise of wealth across Asia and the BRICS eases the reliance on western nations as sources of consumption. If adequate consumption exists in the global market and Wall Street is no longer so deeply connected with international markets, losses to the US economy will produce far less of a shock to the system. In such a case, it has been speculated as to whether China may become the core country, and stipulate the terms of the new global system as the US did after the Second World War, or if the system has already changed sufficiently to not require a core country for stability. Some have suggested a new system is already in action, where central banks control long term and short term rates through quantitative easing. Those who have heralded the shift in American policy as the demise of the world system rely too heavily on hegemonic stability theory and the understanding that a single world leader is “necessary and sufficient” to the system, concerned that if China does not become the new hegemony, that the system can no longer exist. Given so much of the interaction of markets takes place through the global finance system that takes place on Wall Street, and not in Washington, how Trump would work to curtail American dollars from finding overseas investment is unclear, as is how he will work to prevent foreign dollars from purchasing American assets – what Navarro has called “conquest through purchase”. The rise of globalisation and international finance has worked to further entrench US power, but the shift represented by the Trump administration sets the goals and intentions of the market in stark contrast to those of the government and presents a break rather than a furthering of business interest and the union of Wall Street and Washington. Despite no change to the floating system of exchange, Trump has reinstated the pursuit of trade balances as the guiding principle of economic policy and so has undermined the significant privilege of the US system as the global debtor, at the bemusement of many economists. Despite pro-business pro-growth rhetoric, Trump has effectively de-linked the interests and policies of Washington from Wall Street, and undermined a significant source of US structural power, but despite this, he is unlikely to succeed at limiting the movements of private capital in and out of the US, something that is no longer within the scope of state power. Changes in the power of the US, both through intentional policy and run-on affects, present opportunities as well as risks to the EU. Some commentators have noted that EU trade policy, in seeking FTAs, was a result of being “outflanked” in negotiations by the US in third markets, and that geo-economic competition with the US has shaped European trade policy. As noted earlier, the threat of abandonment of FTAs by the US has already lead to significant gains for the EU in seeking preferential trade deals. While some have claimed that “the era of free trade is over”, the absence of the US has not meant an abandonment of free trade by the rest of the world but in fact sped up and deepened trade relationships between other countries. Further, those who have heralded the shift in American policy as the demise of the world system rely too heavily on hegemonic stability theory and the understanding that a single world leader is “necessary and sufficient” to the system, concerned that if China does not become the new hegemony, that the system can no longer exist. The importance of a single hegemonic nation, one that is deeply entrenched in the finance system of the whole economy, is increasingly less significant as markets become less centralised and power more dispersed, but persists through institutions and diplomatic relations established during the pegged currency systems of the Bretton Woods agreement. The resulting over-reliance on the health of a single currency has lead to greater insecurity for the global economy. For the EU, a dissipation of the structural power of the US eases a long-running competition between the two regions, and diversifies sources of both production and consumption. Recent developments in the foreign policy of the US (both on trade and defence) indicate the extremes of Trump’s rhetoric cannot be counted on to indicate the direction of his administration’s policy; moreover Vice President Pence, who trade officials are likely to report to, is a trade liberalisation supporter, further increasing the likelihood of a softening of Trump’s protectionism. The threat, however, has already led to the strengthening of FTAs excluding the US, so that should it place tariffs on its largest trade partners, it will push those nations to trade amongst themselves. The outcome is likely a rise in the cost of living and a loss of employment for Americans, and a diversification of trade relations internationally.